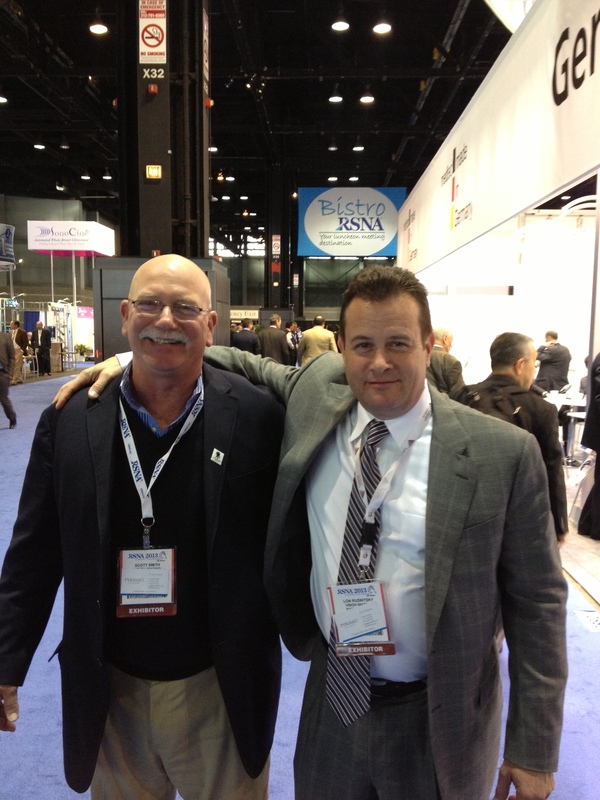 The Pyromet team attended the RSNA in Chicago for the 17th year. (Chicago, IL – December 1-3, 2013). Scott Smith, CEO of Pyromet, Laurie Smith, Smith’s wife, and Lon Rudnitsky, Pyromet’s sales representative and film wash partner, enjoyed walking the show and meeting with current and potential customers. RSNA hosts the world’s premier radiology forum, drawing approximately 55,000 attendees annually to McCormick Place in Chicago, and publishes two top peer-reviewed journals. The Pyromet team is expecting to go to next year’s RSNA show. From now until then, Pyromet will attend several other shows for the silver and film industry.